Spiritual Energetic Healings,Reiki Healing, from a Reiki Master Teacher and Trance Healing Medium. I offer house clearings, Spiritual Counseling and Medical Intuitive work . I offer off body energetic hearings to help balance and clear your chakras and energetic field.I also offer energetic cord cutting/releases. In addition, I offer Animal Reiki treatments. I offer Spiritual Healing/Counseling and have worked with many people in helping them discover their life purposes and assisted them in spiritual awakening. Often, clients experience deeper calm, pain relief or other experiences that come from a deeper centering. I will use my trance abilities to bring you into a closer relationship with the spirit healers. Here there is the potential for a clearer healing energy to be present. You may be aware of stronger feelings and experiences than with healing. Healing is where I connect with the Spirit World, and use this connection to bring the healing energy from the Spirit World. The healing energy is for every type of illness and condition, physical, mental and emotional. I do not heal, I am simply the instrument that the Spirit World use for the healing process. There is no guarantee that your condition can be cured, but there is generally a positive effect after your healing session. When booking a session, you, the client, acknowledges that this session does not constitute medical advice or service, and is not intended to replace any medical services you might be receiving. 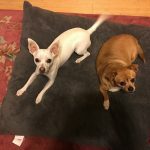 Reiki Sessions for people and pets, Chakra Clearings, and Energetic Cord Cutting. If you are booking an Animal Reiki session, please call me directly to book the time.There may be additional charges if outside a 25 mile radius of my office. I am able to access all the listed products, and I do have a supply of the most popular products available.